Ashoke Pandit, who paid Geeta Kapoor's hospital bills after her son allegedly abandoned her, said: "Paying the bills was not a big thing, really. I saw my mother in her"
Geeta Kapoor also said that her son Raja "planned all this"
Actress Geeta Kapoor, best known for her role in Pakeezah, was allegedly abandoned by her son in a hospital halfway through her treatment, reports mid-day. Central Board of Film Certification (CBFC) member Ashoke Pandit paid for Ms Kapoor's hospital bills and treatment after her son Raja apparently left her at Goregaon's SRV hospital under the pretext of withdrawing cash from a nearby ATM, reported Indian Express. He said: "I came to know that an old lady named Geeta Kapoor has been abandoned in a Mumbai hospital by her children only after reading about it in the newspapers. I didn't know Geeta Kapoor is the Geeta Kapoor from Pakeezah." Last week mid-day reported that Geeta Kapoor was allegedly abandoned by her son Raja and the 58-year actress also accused Raja of torturing and starving her. She told mid-day: "He used to beat me up as I did not approve of his philandering ways. He would give me food once in four days, and sometimes, even lock me up for several days. I was not ready to go to an old-age home, that's why, he planned all this. He deliberately kept me hungry and I fell ill. Then, he got me admitted and fled." Ashoke Pandit told Indian Express: "After reaching the hospital I cleared the bills, and I wanted to tell the hospital guys that she will be taken care of, so there are no insecurities from the hospital's side and they would continue treating her. Paying the bills was not a big thing, really. I saw my mother in her." The doctor treating Ms Kapoor told mid-day that they tried tracing Raja by sending an ambulance to his residence but the neighbours informed them that Raja packed his belongings and left earlier that day. Raja reportedly did not answer the doctor's call for 15 days and later when he was contacted through a different number he promised to return but never showed up. Geeta Kapoor also has a daughter Pooja, who is a Pune-based flight attendant. When mid-day tried to contact Raja, his phone was found switched off while Pooja said 'wrong number' and hung up. 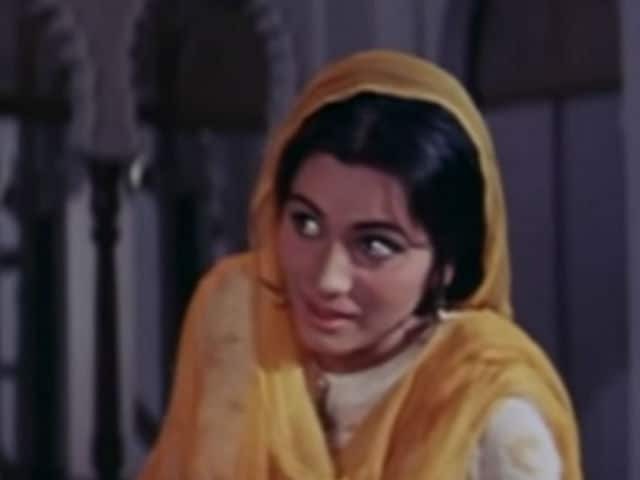 In Pakeezah, Geeta Kapoor played the role of Rajkumar's second wife while Meena Kumari featured in the lead role.